Amity University, a private university was established by Ashok Chauhan who is the founder of non-profit organization Ritnand Balved Education Foundation in Uttar Pradesh, India. This university has affiliations with UGC and has campus in various parts of country including Noida, Gurgaon, Jaipur, Lucknow and Gwalior. It has a faculty of over 4,000 teachers and a vast group of 1,00,000 students studying in an area of 100 acres hi-tech campus. It offers 240 courses in 50 disciples to students which include B.Tech(CSE, ECE, Mechanical, Civil, IT, EEE and many more), M.Tech, M.Phil, BBA, B.Com and other business programs like MBA and many other programs. It has got modern auditorium and amphitheatre style classrooms for the students, and separate hostels for boys and girls. You can also visit the university campus nearby your area. As the university is having campus in various parts of country. 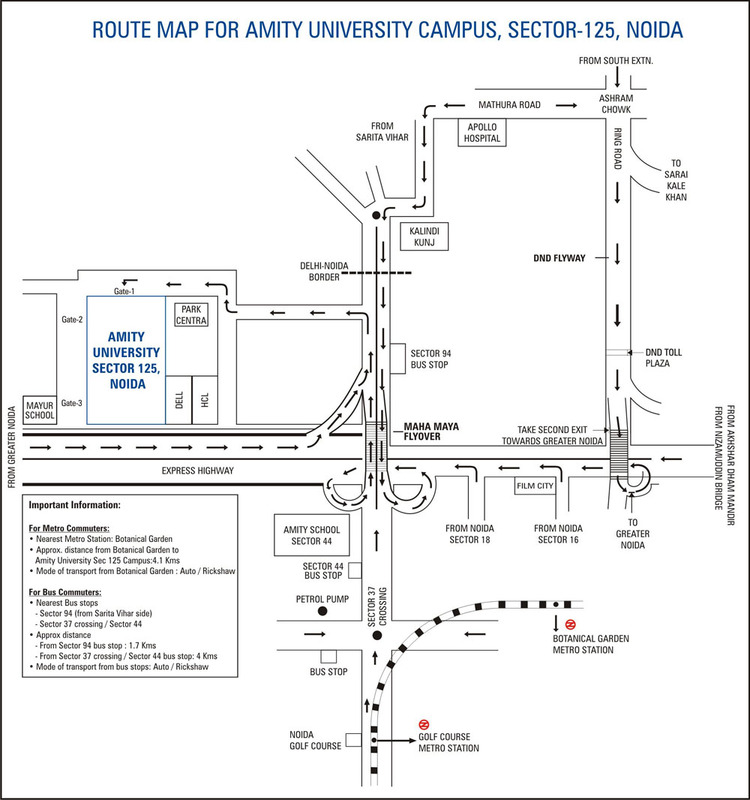 We are sharing Amity University campus address, phone number and email id with location. 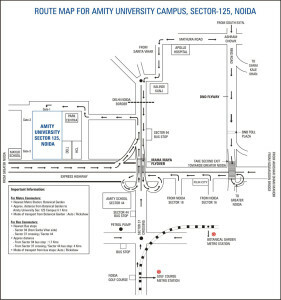 Nearest metro station to Amity University is Botanical Garden. From Botanical Garden metro station you can find an auto rickshaw or rickshaw to reach there. Nearest but stops are Sector – 94 and Sector – 34, Noida. This is the url of the official website of Amity University. To get full information regarding admissions and query, we recommend you to visit this site. Those interested can contribute in the success of the university for the posts, jobs, teaching vacancies and recruitment in Amity University, Noida campus. Please inform us Amity Noida Campus have Bsc (Hons) statistics program????? Amity university raipur is not returning my security deposit & hostel security. Not replying to mail.where should I complaint to there head office.